Let's get back into a routine. Routine is nice. It's so ... reliable. This winter has been anything but routine, and to say I'm over it is an understatement. To try to get back into the swing of anything that isn't just barely existing until we thaw out, I'm bringing back Three Things. 1. 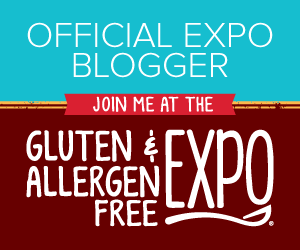 Gluten Free/Allergy Free Expo: I can't believe we're only about 6 weeks out from GFAF Expo this year. It seems like just yesterday I was hanging out with my GF peeps and stuffing my gullet with GF spinach pies. I'm excited to have been chosen as an official blogger again this year, and if you're interested in tickets, check out my sidebar for a great discount. 2. That's a negative, Captain: It was time for my semi-annual celiac blood screening a few weeks ago, and I got the results from my gastro this morning. I'm doing so well on my GF diet that all my indicators are negative. This means my diligence is paying off, and I'm not getting cross-contaminated. So, yay me. I feel like I need an intestine-shaped sticker or something. 3. Play on, players: I'm directing a series of one-acts that runs next weekend. While recovering from the sinus infection that will not end. I'm excited and terrified and hope this goes well. 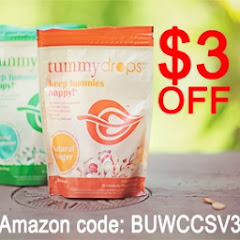 While it has nothing to do with gluten, or celiac, this is the thing that's been consuming my life for a couple of months, so I will be thrilled to see it come to fruition! Hey Alissa, I've been behind on your posts but just caught up with the most recent ones and wanted to say congrats on your negative results! Woohoo!